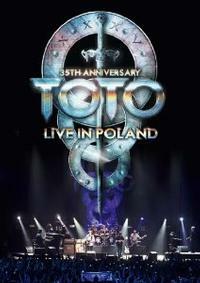 Toto has quite a few live DVDs out. I haven’t seen them all, but of the ones I’ve seen, this is arguably the best. The performance is purely on fire. These guys are professionals and it really shows. I love when they get so many layers of vocals going. The video and audio quality are both top-notch, too. If you’ve ever liked Toto (and it’s hard to believe there are people out there who don’t) you can’t go wrong with this. It’s great stuff.